Safety manager or Safety coach? The term safety manager is used to denominate the individual responsible for the development, operation and continuous improvement of the safety management system (SMS) deployed by an operator/service provider. He acts as a focal point for safety management issues in the organization. In this post I’d like to address the term Safety manager and what the term implies versus what actually needs to be done to improve safety performance. The purpose being to provoke some thinking of what the role means and what kind of skill and toolset might be needed to perform well in this role. Before, the person managing the Flight Safety and Accident Prevention Program was called the Flight Safety Officer. There were several good reasons for the shift to the term “Safety Manager”. First of all the Flight Safety Officer tended to report to the Flight Ops Manager, and his area of concern was the flying part of the operation, in practice that meant he or she was mostly talking with and about pilots. Sometimes there would also be a Maintenance Safety Officer, and a Cabin Safety officer. The Safety Management System was introduced because, to be effective, the organization needed to address the management of safety systematically, throughout the organization. The Flight Safety officer’s remit was mostly limited to Flight Operations. Safety events or issues seen by the Flight Operations department might be a manifestation of a long organizational chain of contributing factors originating in different departments. A problem that could occur was that safety recommendations remained limited to the Flight Operations department, dealing with symptoms rather than the root causes which originated elsewhere. Another issue that the “Safety Manager” title addressed was one of representation. With the position of “manager” came also more access to management meetings, and with that a chance to influence the decision-making process to take into account safety relevant info. One of the drawbacks of the title “safety manager” however is that the term contributes to the misunderstanding as to who actually manages safety. A safety manager does not, nor should (s)he, have any authority to make decisions in the management of the company. As such a safety manager, does not directly manage safety. The safety manager, in spite of his name, does not have a manager’s authority, budget or resources to do anything but manage the SMS itself which is in essence a data gathering and measurement machine. This management of safety is done by the day-to-day decision making of the management team, hopefully based on good information from the SMS which the Safety Manager effectively communicates to the management team. 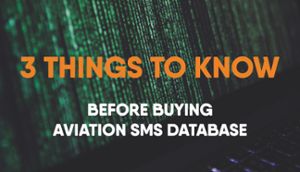 As I explain in another post, having an SMS does not automatically mean that you are managing safety well. The SMS is a tool for the task of safety management. The problem that I have observed in various organizations is that the management team considers the safety performance of the organization as the safety manager’s problem. Like financial performance, safety performance is an outcome of the day-to-day decision making and efforts of the organization to increase safety performance. The output of the SMS is data about the organization’s safety performance and helps the management team in their day-to-day decision making, like the financial management system generates data for other dimensions of the business. This is where I think that the term Safety Coach reflects a lot better what this particular function actually is about. In my personal journey from consultant to coach I have discovered that increasing performance through coaching is something that is well established and understood through parallels with sport, business and life. Coaching is not a practice restricted to external experts or providers, managers and leaders in the organization can be just as effective as externally hired coaches. Provided they have a structured approach they can add value, and help develop the management team’s skills and abilities in managing safety. In some organizations, coaching is still seen as a corrective tool, used only when things have gone wrong. But in many companies, coaching is considered to be a positive and proven approach for helping others explore their goals and ambitions, and then achieve them. I believe a safety coaching approach is key to obtain better safety performance and develop the management of safety as a skill. If we want to increase the safety performance of our organizations, I believe that framing the function of the Safety Manager as that of a coach to the organization is more productive. It can remove conflicts and clarifies the role of the Safety Manager as one of the people that are able to give the players on the field better overview and focus for the game they are playing. Exactly the fact that the Safety Manager is not directly involved in the day-to-day operations and the fighting of the many crises that seems to entail, allows them to take a step back and look at the whole system, focusing on solutions that benefit the whole group not just individuals. Any other ideas for how we should denominate Safety Managers? There could be as many as 150,000 drone jobs in Europe by the year 2050, says a report out today from the EU Committee of Britain’s House of Lords. Those jobs include piloting as well as manufacturing and other support work. In the US, the drone industry has claimed there’ll be a similar bonanza. But there are a couple of catches. First, people need to know how to fly them. In the UK, commercial drone pilots need a form of aviation license, and regulations ban them from being flown over built-up areas or crowds, or out of sight of the pilot. But the aviation industry is still worried. It has said that “leisure” users might at some point cause “a catastrophic accident,” which could damage the growth of the industry, the report says. Then, there’s the problem of public perception. Drones clearly make people nervous, even though there’s a world of difference between the small commercial devices and the massive military drones that patrol the skies over war zones. The unexplained sighting of drones above Paris last week had a city that had recently experienced a terrorist atrocity immediately on edge. While small drones are already increasingly used for filming and photography by journalists and movie-makers as well as enthusiasts, they also have less visible uses: farmers surveying their fields to plan crop rotation, estate agents taking aerial shots of houses, and infrastructure companies checking on cables and or bridges. All of these make privacy a particularly fraught issue. To deal with that, the report calls for pilots to be made aware of rules that protect ordinary people from having their private lives inspected or their data collected. Keeping track of what drones are in the sky should help. The report also recommends creating an online database on which drone operators would share their flight plans, and suggests that the UK and Europe team up with NASA. The US space agency already researching the development of such a system, which might eventually function as a kind of drone air-traffic control. Paramount to provide dispatch and flight support for AAR Airlift’s global fleet. Fredericksburg, Virginia – March 5, 2014 –Paramount Global Ferry & Flight Support, a division of Paramount Aviation Resources Group , a global provider of flight crew personnel and aircraft ferry and flight support services, has signed a contract with AAR Airlift Group to provide dispatch and flight support services to AAR’s fleet. “We are excited to support AAR. We recognize that AAR has a global operation with a diverse fleet of aircraft that provide essential support to both civilian and military operations. Reliability is critical. Our global dispatch and flight services are a perfect match to provide the services to ensure that AAR Airlift’s crews have the information and support needed to safely complete each flight,” said Rick Wolfer, Paramount Global Ferry and Flight Support Division President. Paramount Global Ferry and Flight Support has provided aircraft ferry and flight support services to aircraft operators throughout the world since 2008. In that time, Paramount has safely moved and supported hundreds of aircraft, including ATR, Airbus, Beechcraft, Boeing, Bombardier, Dassault Aviation, Dornier, EADS CASA, Fokker, and many other types of aircraft to destinations throughout the world. Paramount provides dispatch and flight support and aircraft ferry services throughout the world for any aircraft type. With an in-house global flight dispatch center, Paramount maintains direct contact with crews continuously regardless of their location.